Ruth Nixon has served on the Board of Directors since 1977. She also serves as the Commissioner for MH/IDD for Warren County. She is a member of Mt. Lebanon Baptist Church. Ruth and her husband Robert live in Vicksburg. She has two daughters, Cora Anderson and Mary Ruth Galtney. She enjoys time with her family and traveling. Gala Starling has been on the Board of Directors since 1977. She is the MH/IDD Commissioner for Yazoo County. She retired from the Yazoo County School System after 42 years of service. Ms. Starling attends Mt. Vernon Missionary Baptist Church. Ms. Starling is a member of the MS Retired Teachers Association. She enjoys flower gardening, cooking, and traveling. Mr. Ward joined the Board of Directors in the spring of 2004. He previously served on the Board from 1980 through 1987. Mr. Ward is a Yazoo County native. He is a member and deacon at Center Ridge Baptist Church. 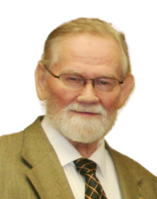 He has served in various civic roles including as a board member for Yazoo County Community Action, the Yazoo Baptist Association Executive Council, and as a charter member of the Yazoo Historical Society. He and his late wife, Gladys, have one son and three grandchildren. Buddy Dees has served on the Board of Directors since 1984. He is an attorney at Ellis, Dees, & Sadler, P.C. Mr. Dees is a member of the American Bar Association. He received his Juris Doctorate from the University of Mississippi in 1976. 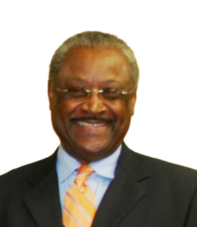 He has served on the boards of the Vicksburg Warren County Chamber of Commerce, the Vicksburg Jaycees, and the Vicksburg Rotary Club. He attends First Baptist Church. He enjoys hunting and fishing. He has three children, Paul, Molly, and Emily. Colonel (Ret) Benny Terrell joined the Board in September 2015. He is a native of Vicksburg. He received a Bachelor of Science Degree in Business Administration form Alcorn State University, and completed further studies at MS State University and the University of Colorado at Denver. 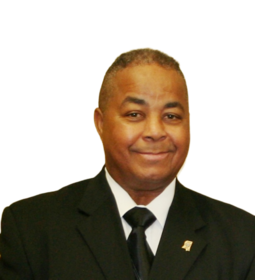 Colonel Terrell's military career spans over 36 year of exemplary service to the US Army and the Army Reserve. His current civic service includes the Greater MS Foreign Trade Zone Board of Directors, Chairman of the Emergency Food and Shelter Program for the United Way, Vice-Chairman of the WYMHS Advisory Council, Vice-Chairman of the Vicksburg Convention Center Board of Directors, Vicksburg Branch of Hinds Community College Joint Budget Advisory Board, President of Saint Mary Catholic Church Parish Council and St. Mary's Men Club. Colonel Terrell and his wife Wilmer are the proud parents of two children, Benny Jr. and Tiffany, and two grandchildren, Austin Marshall and Mekhi. Mr. Nelson Tate joined the Board in September 2015. He has been in law enforcement for more than thirty years, and is currently employed with the MS Department of Public Safety Bureau of Narcotics where he directs activities of the Internal Affairs Unit. He is a resident of Yazoo City, Ms and graduated from Yazoo City High School. He earned a Bachelor's Degree from Jackson State University and also graduated from the MS Law Enforcement Officer's Training Academy and the FBI National Academy. He is an instructor with the MS Alcohol Safety Education Program (MASEP). Locally he is a member of the Gateway MAP Coalition. In 2005, he was awarded the D. W. Wilburn Foundation, Inc. Community Service Award. He attends King Solomon M.B. Church in Yazoo City. Mrs. Rosemary Knox joined the Board of Directors in January of 2019. She states that her major life goal now is to help those that need help the most. Helping others through service activities is something that she feels is a part of her life. 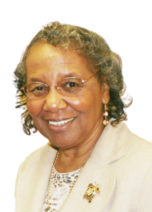 She is the church secretary for First United Methodist Church in Yazoo City, Ms. She also has served as a Trust Secretary for the Carl & Virginia Day Trust and as a Human Resources Manager for Dana Corporation. Rosemary and her husband Rich enjoy playing golf and spending time with their nieces, Amanda and Maddie. Board meeting are held quarterly in alternating county offices of Warren Yazoo Behavioral Health.